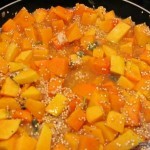 This Butternut Squash Quinoa is a delicious meal that the whole family will love! I don’t know about you but today I’m feeling a bit like I should be wearing a t-shirt that says “I survived Christmas 2011”. Its not so much that I over did it, because I really didn’t. In fact, more so that any year prior I feel like I finally achieved the perfect balance between enjoying great food and enjoying my family. Most years, I plan too much to cook, do everything by myself and end up exhausted and a bit too cranky to really enjoy things. This year, I did a lot of cooking ahead of time and almost none on Christmas day. And, because I was sick I delegated all of the last minute cooking to family members, which left me free to snuggle and play with the boys and watch lots of Food Network. Being sick on Christmas was a bummer, but it made me realize that I would enjoy things more if I just made sure that the day was meant to enjoy and not try to serve up a feast with no help. Even so, today I’ve feeling a little tired and a lot grateful that I got everything done and that the boys were happy. And, I’m looking forward to 2012 with great excitement. Today’s quinoa butternut squash recipe is one I’ve been making for quite some time and its the perfect dish for this week because it can be made ahead of time and popped in the oven when you are ready to serve. And, its big making it ideal for planned left overs. What about you ? How was your Christmas? Did you over do it or take the time to enjoy? This Butternut Squash Quinoa is the perfect dish for this week because it can be made ahead of time and popped in the oven when you are ready to serve. And, its big making it ideal for planned left overs. Preheat oven to 350 degrees. Roast diced squash for 15 minutes. Heat olive oil over medium heat. Add shallots and sage and cook for 10 minutes or until shallots are tender. Add in garlic and cook for another 30 seconds. 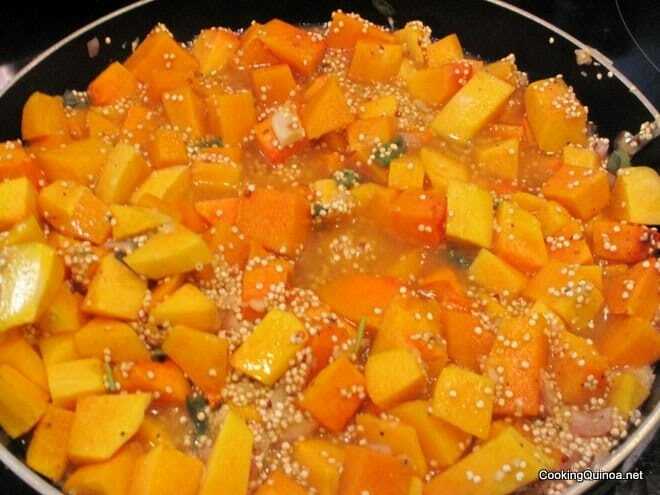 Add in quinoa and squash and stir for another minute. Add in broth, black pepper, sea salt and cayenne pepper. Bring to a boil and then reduce the heat to medium low. Cover and cook for 15 minutes or until most of the liquid is absorbed. Move the quinoa mixture to an oven safe pan. In a small bowl, combine milk and eggs and pour over the quinoa mixture. 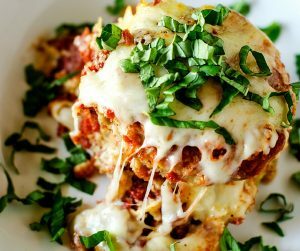 Top with cheese and then bread crumbs. Bake at 350 degrees for 30 minutes. If desired, broil for two minutes to brown the top. Enjoy! 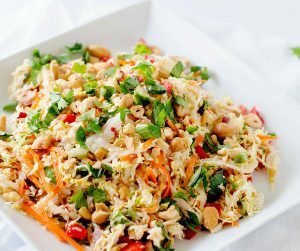 This recipe has vegan options.